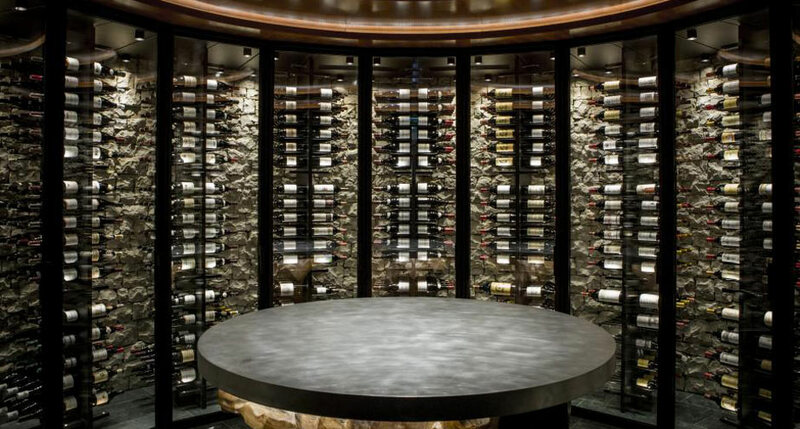 At the heart of Mr. Alain Ducasse’s “Le Louis XV” restaurant at the Hôtel de Paris, this unique wine cabinet offers a magnificent setting for the prestigious wines available to the clients of this historic place in the centre of Monte Carlo. 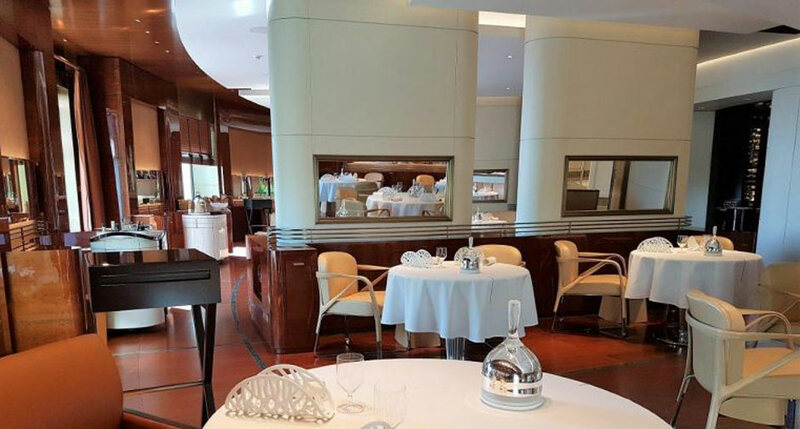 The restaurant has recently had a complete facelift: the space has been reorganised and the materials chosen with care. 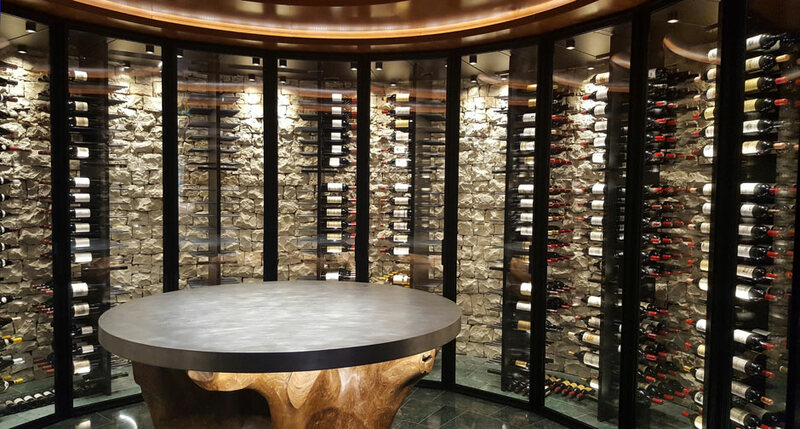 Everything here is exceptional… including the “Gravity” faceted wine cabinet. It stands proudly in the centre of the restaurant, its eye-catching modern lines and materials contrasting with the main room’s curves and noble materials. 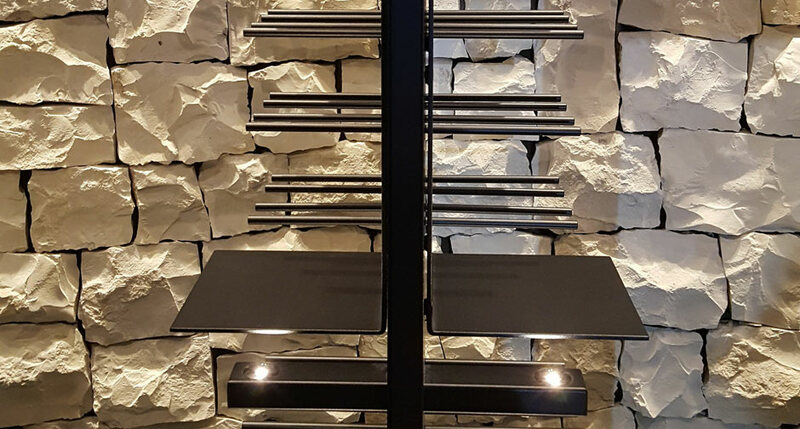 Made up of 13 faceted doors, each with individual, secure locking systems, the lower part of this wine cabinet is fitted with Gravity display units for bottles and magnums. 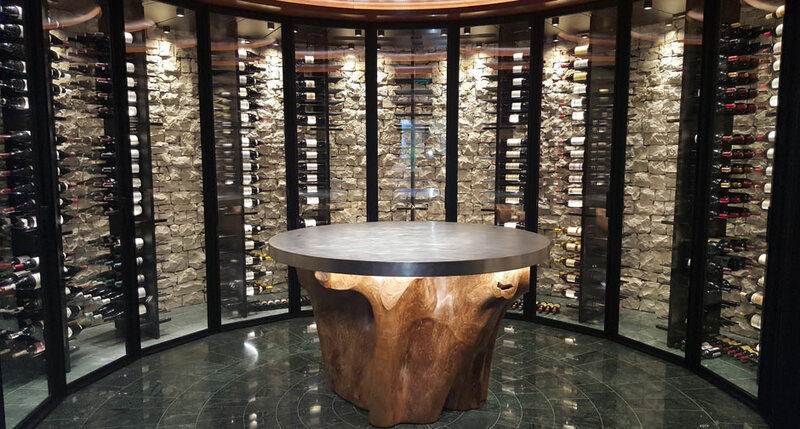 With its circular shape, it surrounds a tasting area set aside for privileged clients. For special events, the rod storage systems can be replaced to display large-size bottles, with, as always, special lighting for the labels.